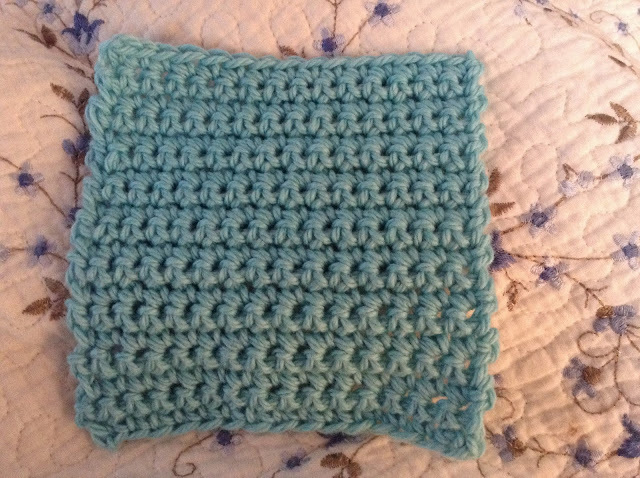 Single crochet stitch on 5mm hook. Wonder if it's neat enough. I've never crocheted into the bump at the back for the foundation row but I think I'm converted. It makes the bottom look just the same as the top. Nice.